Maurice (or Morris or Morrice) Edwin Weaver was born in Montgomery in 1890. He went by the name of Edwin, which was also the name of his father. His mother was Mary Jane. He had a sister, Florence who was a year older than him. 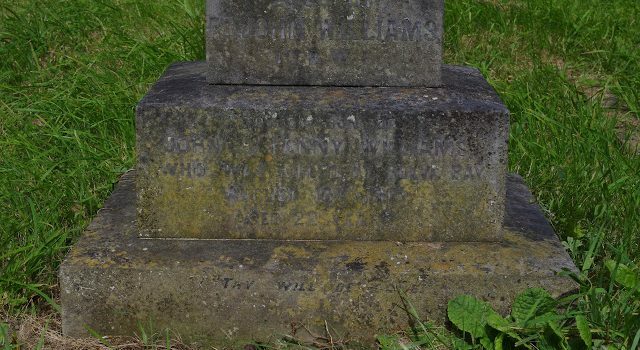 Changes happened within the family which resulted in Mary, Florence and Edwin to move to Rhayader with John Evans, a Navvy. The family settled in Caeherbert Lane, Rhayader. 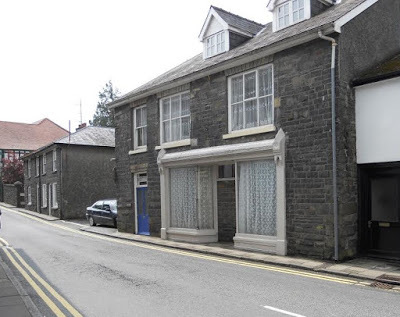 By 1911 Edwin was working as a hotel porter at The Fleece Temperance Hotel in South Street, Rhayader. The Fleece Temperance Hotel was a wooden building which is no longer standing. 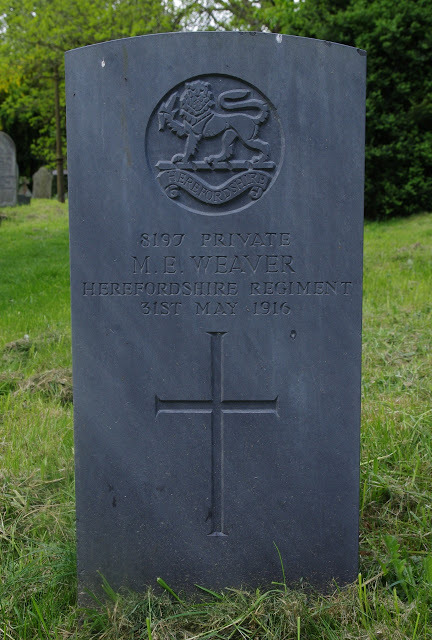 On 11th February 1911, Edwin enlisted in the 1st Herefordshire Regiment which was a Territorial Force. He took part in summer training camps for 3 years. 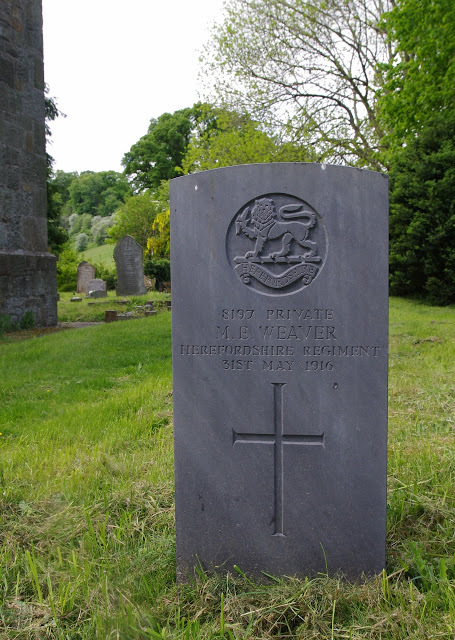 In August 1914, with the outbreak of war, the regiment was embodied in Hereford. They moved to Pembroke Dock, but soon moved on to Oswestry. In December they were in Bury St Edmunds, Suffolk. 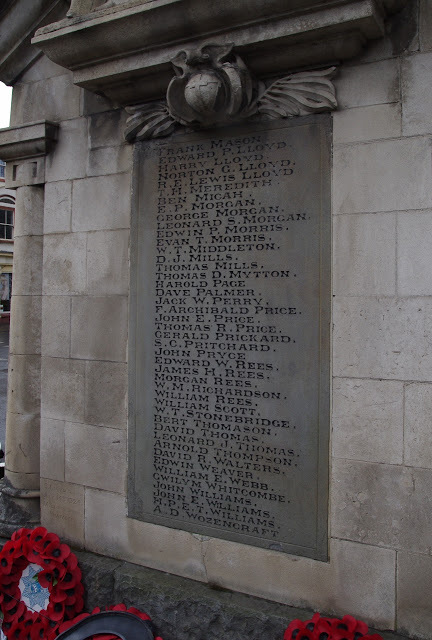 In May 1915 the regiment became part of the 158th Brigade in 53rd Welsh Division, and they moved to Bedford. Whilst in Bedford Edwin noticed lumps in his groin and was admitted to hospital. Soon after he was transferred to the 1st Southern General Hospital in Birmingham (a war hospital at the University in Edgbaston) for further treatment on the lymphatic abscesses, which included several operations. He was in hospital for nearly a year. Edwin was permanently discharged from the army on 19th March 1916 due to ‘total incapacity, not a result of but aggravated by ordinary Military Service’. During this time, Edwin developed Pulmonary Tuberculosis and it was noted that he had lost a lot of weight. He was discharged from hospital on 19th May 1916 and was transferred to a Sanatorium. It is likely that the Sanatorium was in Welshpool, as on the burial record it states Edwin resided at ‘Beechwood House Hospital, Welshpool’. 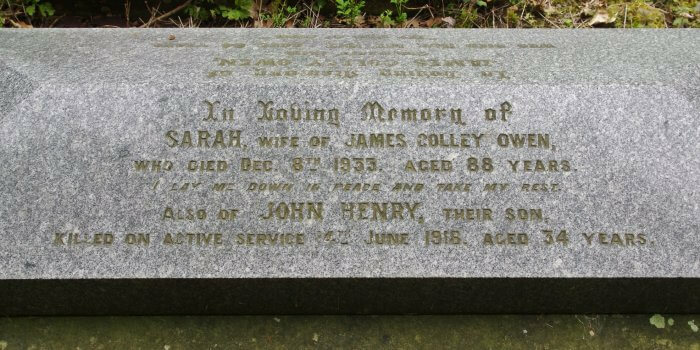 Edwin died on 31st May 1916, at the age of 26 and is buried here at Christ Church. 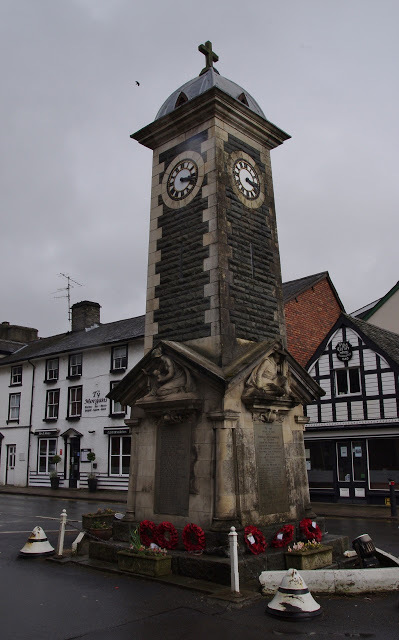 Edwin is remembered on ‘The Clock’ war memorial in Rhayader. 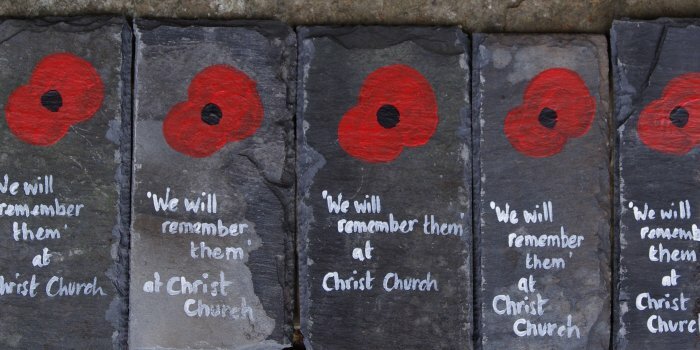 He is also remembered on Welshpool’s war memorial. Meanwhile, the 1st Herefordshire Regiment, as part of the 158th Brigade in the 53rd Welsh Division had sailed to Sulva Bay and fought in the ill fated Gallipoli campaign and suffered heavy losses. A more detailed account of Edwin’s story can be seen as part of the ‘Remembering the Fallen of the Great War at Christ Church’ exhibition. The Fleece Temperance Hotel was built of stone and is now a private house / shop. It stands almost opposite the building in South Street, shown in Krysia Bass’s photograph. On his burial record it states that Edwin resided at Beechwood House Hospital, Welshpool, although his death was registered at Newport.